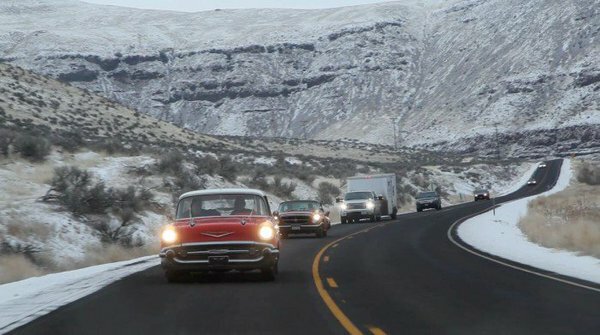 A 1957 Chevrolet Nomad, 1961 Chrysler 300G and 1966 Ford Mustang from the LeMay, are set to take part in the museum’s second winter road rally. 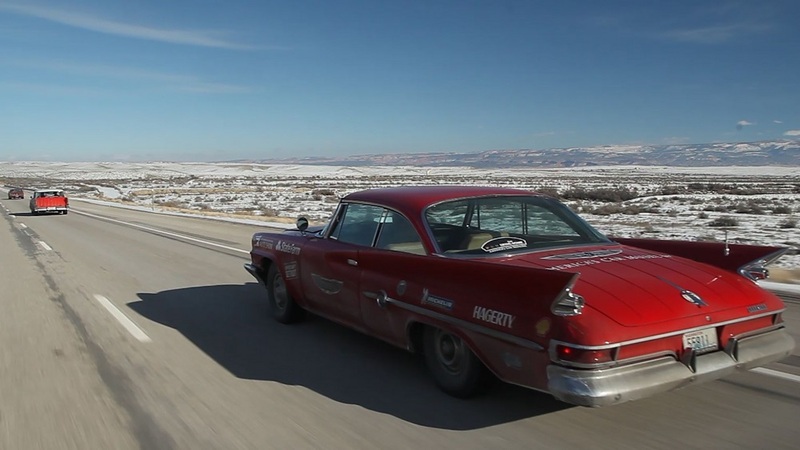 All three of the cars completed the first “drive home” earlier this year, which took them from the museum in Washington to Detroit. For the second journey, the cars will start in Boston and drive 2,150 miles over 11 days, from December 28 to January 7, concluding at the opening of the North American International Auto Show. After the long journey, the three cars will cruise down Woodward Avenue and have a presence at the North American International Auto show. 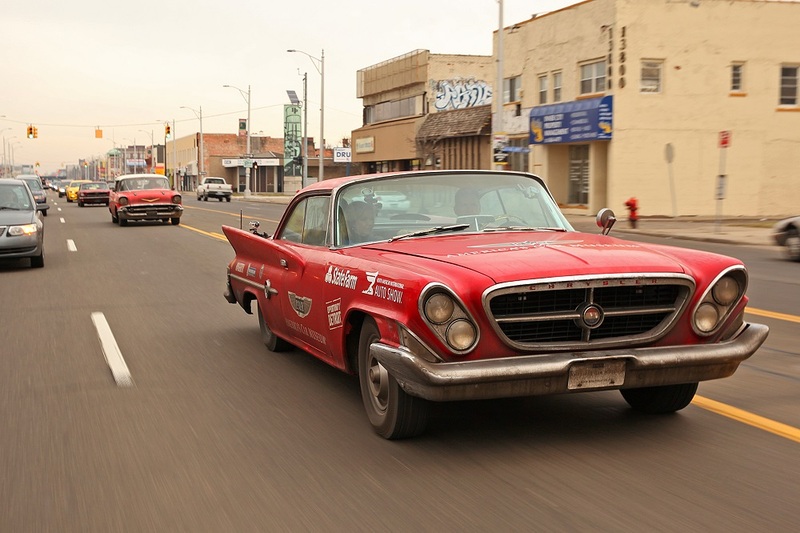 Enthusiasts and car clubs can catch up with the LeMay cars at Cars and Coffee events, happy hours and get-togethers in cities along the tour, including Boston, New York, Washington D.C., Philadelphia, Pittsburgh, Indianapolis and four Michigan cities: Traverse City, Lansing, Birmingham and a big celebration in Detroit. Running through September 9, the Simeone Automotive Museum in Philadelphia, features a motorcycle exhibit, the “Land of the Rising Sun, Mid-Century Motorcycles and Fast from the Past.” The collection has been put together to showcase competition flat-track racers, motorcycle drag racers, Japanese motorcycles from 1960-1989 and mid-century modern motorcycles that demonstrate the optimism of early postwar design. On loan to the Auburn Cord Duesenberg Automobile Museum in Auburn, Indiana, is a vintage Sprint car built by Floyd “Pop” Dreyer, former Duesenberg employee. The car raced extensively throughout the Midwest from the 1930s until the 1950s and has been restored to its original 1938 configuration. The California Automobile Museum in Sacramento is currently seeking a variety of motorcycles for a new exhibit, “LIVE FREE: California Motorcycle Culture.” The loan period would start towards the end of September and run through February of 2017. The Museum is looking for the following: Harley-Davidson Servi-Car, pre-WWII Harleys and Indians, 1970s Honda Goldwing, 1950s Triumph Thunderbird, 1960s Café Racers, 1960s-70s Harley-Davidsons, 1950s-70s BMWs, Custom motorcycles such as choppers, lowriders, and ArtBikes, and 1950s-60s Speedway racers. The museum is also looking for historic objects to be displayed with motorcycles, like vintage helmets, boots, leathers, as well as saddlebags, motorcycle club paraphernalia, related movie posters, from 1910 through 1970. The Automotive Hall of fame is looking for display cars to replace some of the current display vehicles and also compile an ongoing list of vehicles to rotate in and out of the museum in addition to display vehicles that can be used for shows. Those interested are encouraged to contact the museum for more details. 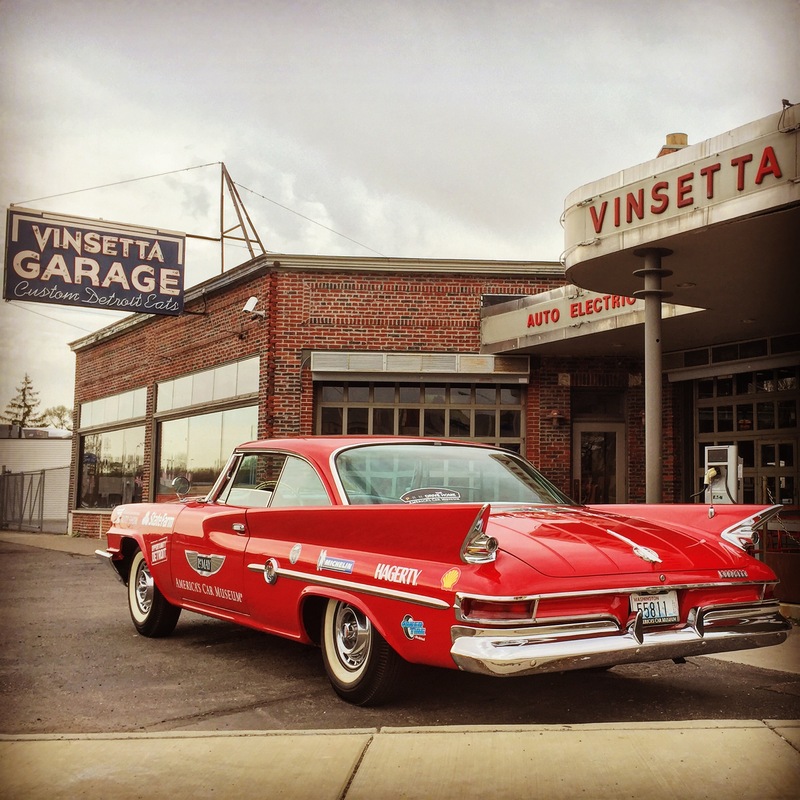 The Kansas City Automotive Museum holds its 2016 Cruiseum Poker Run on Saturday starting at 4 p.m. Participants will cruise to five different “rally points” around the city collecting playing cards. The winner is the one with the best poker hand at the end of the cruise. Beginning Sunday through September 5, the Auburn Cord Duesenberg Museum holds its annual Festival, made of various events, in Auburn, Indiana. The America on Wheels museum in Pennsylvania invites all makes and models of cars to the outdoors Car Tunes event, Saturday from 11 a.m. to 3 p.m. The museum recommends guests bring beach chairs, pop-up tents, blankets, and lunch to enjoy DJ Jimbos tunes at the museum’s developing waterfront. This Saturday and Sunday, the National Corvette Museum race track in Bowling Green, Kentucky, holds a high-performance driver’s education event with combined classroom and on-track time. Registration is $485 and participants need an appropriate track vehicle, an SA2010 or newer helmet, long pants and close-toed shoes. The National Corvette Museum celebrates its 22nd anniversary in conjunction with “R8C Museum Delivery” on September 29 through October 1. The anniversary and R8C include car shows, seminars, road tours, and the Corvette Hall of Fame Induction ceremony of Bob Bondurant, Ralph Kramer and the late Donna Mae Mims. Shortly after the museum holds “Holley LS Fest,” set for September 9-11. The event is a celebration of everything powered by a GM LS engine. Race cars, street rods, rat rods, muscle cars, trucks, late models are all welcome and event activities include drag racing classes, autocross, 3S Challenge, TrackX, Show-N-Shine and more. The TrackX will utilize the NCM Motorsports Park’s east track configuration. Lastly, the museum has opened registration for the 2016 Vets N Vettes car show, set for November 3-5, and invites veterans to visit the museum and the museum’s track to go for rides in participant’s Corvettes. The LeMay Marymount in Tacoma, Washington, holds its 39th annual LeMay Car Show in Saturday, August 27, from 9 a.m. to 5 p.m. The show includes assortment of over 1,000 vintage vehicles with additional collections of dolls, antiques, and other memorabilia. The Automotive Hall of Fame in Dearborn, Michigan, plans Cars and Coffees for Saturday from 9 a.m. till noon. Car show admission is free and free tours of the Hall of Fame will be open until noon. Coffee and Krispy Kreme doughnuts will be available inside the Hall for a $1 donation. The next Cars and Coffee event at the Hall of Fame is slated for October 15. The British Motor Museum in England holds the sixth annual Retro Truck Show is September 10-11, featuring approximately 250 trucks produced between 1960 and 2000. On September 10, LeMay – Americas Car Museum in Tacoma, Washington, hosts the “Summer Ender Fender Bender” cruise-in. Participating cars are eligible for awards, guitars from Fender will be available to play, and the museum welcomes children 8-14 to be a Hagerty Youth Judge at the show. The California Automobile Museum in Sacramento hosts “Cruise Fest on Fulton Avenue” on September 10. 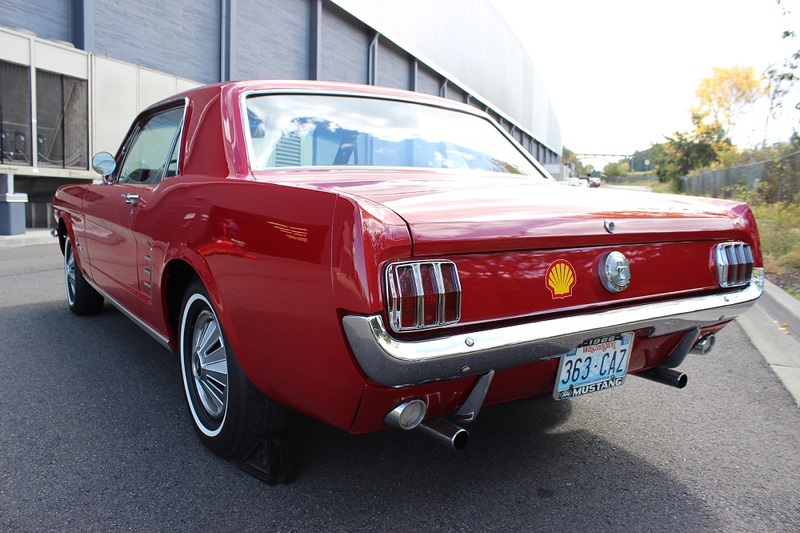 Cruising runs from 4 p.m. to 6 p.m. with other festivities continuing through 8:30 p.m.
On October 6-7, the AACA Museum in Hershey, Pennsylvania, holds Cars and Coffee in its “secret garage” from 7:30 until 10 a.m. Donuts and coffee will be served. This Saturday, the LeMay — America’s Car Museum in Tacoma, Washington, holds its last drive-in movie of the season Saturday on its Haub Family Field. Parking opens at 4:30, and the featured film, Jurassic World, will begin at dusk (around 9 p.m.). Saturday is the third annual Owls Head Transportation Museum Brainstormers Ball in Maine. Attendees are encouraged to dress in 1920s-inspired evening wear. The 11th annual Auburn Cord Duesenberg Automobile Museum’s benefit extravaganza is set for Thursday, September 1. The event includes dinner, silent and live auction, and after-hours touring of the museum to benefit the archive digitization project. 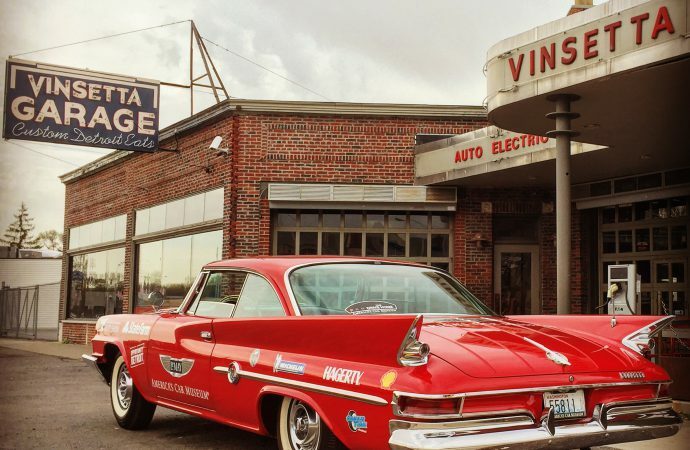 This year’s Extravaganza theme celebrates the “western connection” of the Auburn, Cord and Duesenberg automotive story. The museum holds the Gatsby Gala Ball, September 3, from 7 p.m. to 11 p.m. Open to the public, 1920s attire is encouraged but not required to enjoy the event. “Party in the Plaza” also takes place at the museum on September 3. Event admission is $30 at the museum’s Education and Exhibit Plaza from 5 to 8 p.m. and includes music, a cash bar, food, and outdoor space to show participants’ cars. The National Corvette Museum holds its 22nd anniversary celebration and the Corvette Hall of Fame induction September 1-3. The World of Speed Museum in Wilsonville, Oregon, offers a “simulator race series” with the simulator set in “damage mode,” meaning cars will behave and sustain injury as in real driving. Participants get a practice run and qualifying run September 29, from 5:30 to 8 p.m. Drivers with top qualifying race times advance to the finals, which take place on October 27. The museum holds its inaugural Spark Gala on September 17. The AACA Museum opens a new exhibit October 5 during its “Night at the Museum” event. Food and cocktails are available with a Route 66 flair along with a silent auction, entertainment and automotive artist gallery. Wayne Carini, host of Chasing Classic Cars, presents “A Collector Car Conversation” with car collector Ralph Marano and moderator Bill Warner, founder and chairman of the Amelia Island concours. On October 21-22, the Simeone Museum hosts Corvette Racing program manager Doug Fehan and two-time Le Mans-winning driver Tommy Milner for a two-day celebration dedicated to Corvette Racing. Highlights include dinner, a meet and greet, Demo Day, memorabilia auction and autograph session. The California Automobile Museum in Sacramento holds its annual Art of the Car benefit November 4, starring artist and car enthusiast David Garibaldi. The dinner supports the museum’s mission to preserve, exhibit and teach the story of the automobile and its influence on our lives. Bobby Rahal, winner of the 1986 Indy 500 and the first Indy driver to complete the 500 miles in less than three hours, is to appear at the Blackhawk Museum on November 12 as part of the museum’s Speaker Series.